Israel Prison Service (IPS) transferred Shireen al-Issawi, the Jerusalem lawyer and activist, to Hasharon prison, northern occupied West Bank. In a press statement, Jawad Boulos, the Head of the Legal Unit at the Palestinian Prisoner Society, quoted Shireen’s disapproval of the Israeli measures against her and the five lawyers detained recently. On Saturday, Israel’s Central Court delayed the trial of six Palestinian lawyers from Jerusalem to Thursday to continue judicial proceedings. The lawyers are Medhat al-Issawi, Shireen Issawi, Mahmoud Abu Sneineh, Amjad Al-Safadi, and Nadeen Egrayib, and Omar Eskafi. Israeli authorities alleged that the six lawyers passed messages from and to Hamas and Islamic Jihad in the Gaza Strip to Palestinian prisoners on a commission. Issawi denied the Israeli claims, asserting that what she and her colleagues did is fully pursuant to the professional conduct. The family of female prisoner Inaam Al-Hasanat, 31, said that she suffers from worsening health condition and her jailers provide her with no medication except painkillers. 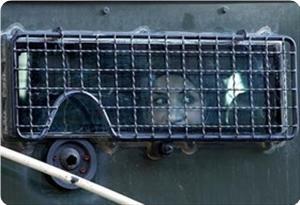 Prisoner Hasanat was detained at an Israeli checkpoint near Bethlehem city on allegations of her attempt to stab a soldier and sentenced to two years in jail. Her brother Abu Nidal said that the body of his sister is no longer able to respond to any painkillers she takes in order to relieve the stomach pains and headaches she suffers from constantly. He added that his sister spends most of her time in prison sleeping and cannot talk for a long time as a result of physical fatigue and exhaustion. The Israeli forces arrested on Monday early morning hours two young Jerusalemite men and handed another a call for investigation after raiding their houses in the Old City of Jerusalem. Wadi Hilweh Information Center was informed that the Israeli forces raided the neighbourhoods of the Old City earlier this morning and arrested Mohammad Najib after raiding him home in Al-Wad Street, and also arrested Ahmad Shawish from his house in the neighbourhood of Bab Hutta. Naser Qos, director of Prisoner’s Club in Jerusalem, said that the Israeli forces broke into his house in the African Quarter near the gates of Al-Aqsa Mosque to arrest his son Jihad. Since Jihad was not home, they left him a call for investigation with his family and called him on the phone and asked him to turn himself in Al-Maskobyeh; Naser added that Jihad went and turned himself in. Wadi Hilweh Information center pointed out that the occupation police has carried out a series of arrests in the Old City of Jerusalem where five young men were arrested and are all being exposed to harsh interrogation in Al-Maskobyeh cells on confidential charges, they are: Ala’ Zghayyar, Adli Najib, Obada Najib, Aboud Abu Sbeih and Tarek Zirba. Hunger striker Ayman Etbaysh was transferred Sunday to Assaf Harofe hospital after serious deterioration in his health condition. 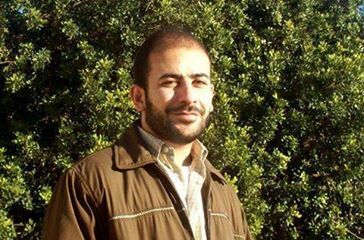 Etbaysh’s health condition has extremely deteriorated after 38 consecutive days on hunger strike protesting his administrative detention, according to Palestinian Prisoner Society lawyer Jawad Bulous. Etbaysh only receives water and some quantities of sugar, while he continues to refuse conducting medical tests, Bulous said. The Palestinian detainee Etbaysh declared a year ago a hunger strike that lasted for 105 days before reaching an agreement to release him on January 15, 2014. However, he resumed hunger strike due to the Israeli backtrack on the agreement, as his administrative detention was renewed again. 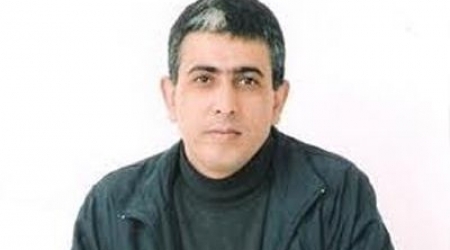 Ayman Etbaysh has been held in Israeli jails since May 9, 2013. On the other hand, family of the detainee Hani Hamad Al-Zeer, 36, from Dura south al-Khalil, has called for the release of their son due to his difficult health conditions. Al-Zeer is one of 600 detained patients held in Israeli jails suffering medical negligence and ill-treatment, including 200 serious cases. 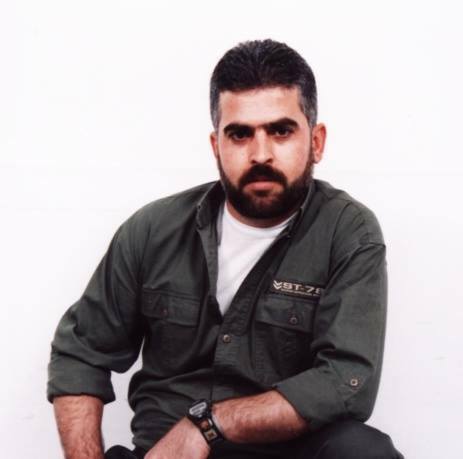 Al-Zeer was detained on the 25th of June 2002 in good physical condition; however, he started suffering many health problems after being tortured in Israeli investigation centers. He suffered a broken leg, migraine, and weak heart muscles, the detainee's wife said. His health condition has been seriously deteriorating after being subjected to a brutal attack in February 2014, which led to the rupture and fragmentation of his leg muscles. Al-Zeer, sentenced to 25 years imprisonment, is a father of five sons. He was deprived of family visits for more than four years, she added. His last family visit was on the 20th of March before being transferred to Beersheba prison for treatment where he was held in the prison infirmary but received no medical attention and his health continued to deteriorate, the wife underlined. She further pointed out that despite Al-Zeer’s inability to walk on his own, he is being transferred via "Bosta", an Israeli armored vehicle used to transfer Palestinian detainees while being shackled. The wife urged human rights and humanitarian organizations to intervene for the release of her husband before it is too late. Al-Zeer’s brothers were either detained in Israeli jails or killed by Israeli gunfire, the family noted, stressing the need to pressure Israeli authorities to put an end to his plight. The family also called for the release of all prisoner patients who face very poor detention conditions and are deprived of medical care and family visits. Five suffocation cases in clashes erupted in Bethlehem Eye-witnesses further confirmed that following the incident, IOF soldiers opened fire at the Palestinian minor, who happened to be in the area and shot him by six bullets including four in his stomach and two in his legs. The youngster has not yet been identified. Physical assaults of the wounded boy were brutally launched leading to a 20-minute incessant bleeding before the belated arrival of an Israeli patrol that carried the injured to an unknown location, according to eye-witnesses. The IOF summoned reinforcements and shut down Hawara and Zaatara borders along with Beita crossroad for more than two hours. A curfew and other combing operations were also documented. Palestinian security sources on Monday identified a man who was shot, injured, and detained by Israeli forces the night before. The man was identified as 35-year-old Ashraf Abu al-Huda from Nablus, who his brother says is an undocumented worker who regularly travels to Israel without a permit. Security sources told Ma'an Abu al-Huda was shot several times by Israeli border police after he allegedly hurled a Molotov cocktail at an Israeli military jeep near the village of Huwarra south of Nablus. But the man's brother told Ma'an that Abu al-Huda left his home on Sunday to go to work in Israel. Allam Abu al-Huda said his brother -- who is married and a father of five children -- regularly leaves for work in the evening in order to sneak through Israel's separation wall. 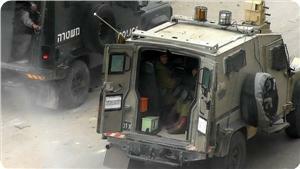 Witnesses said Sunday that Israeli forces shot and critically injured a man in Huwarra. The soldiers then took the man away in a military ambulance, locals said. The area was declared a closed military zone. An Israeli police spokesperson did not return calls seeking comment on Sunday. Israeli Occupation Forces (IOF) arrested Monday at dawn three Palestinian youths from Jerusalem after breaking into their houses in the Old city of Jerusalem. According to Wadi Halwa Information center, the forces stormed several quarters in the area and arrested youth Mohammed Najib after raiding his house in al-Wad street. 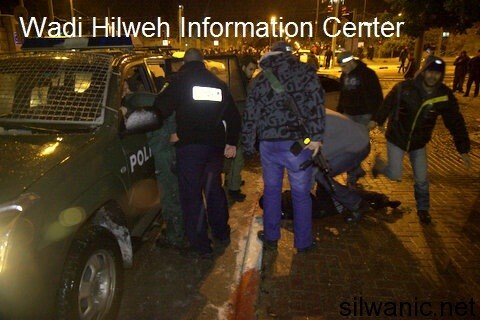 They also arrested Ahmed al-Shawish after breaking into his house in Bab Hatta quarter. 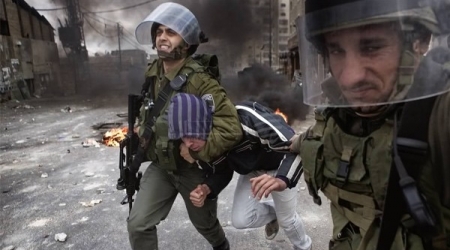 The center pointed out that Israeli forces carried out arrest campaigns during the last days, arresting five Palestinian youths from the Old city. Ala'a al-Zogheir, Adli Najib, Obada Najib, Aboud Abo Soboh, and Tariq al- Zarba were interrogated in al-Maskoubiya interrogation centre and accused of unknown charges. Head of Prisoner Club’s society in Jerusalem, Naser Qous, said that Israel forces broke into his house to arrest his son, Jihad, who wasn’t in the house. As a result, they handed him an a summon to appear before al-Maskoubia interrogation centre. Israeli occupation forces arrested Monday morning a Palestinian young girl while crossing a military checkpoint near the Ibrahimi mosque in Hebron, southern the West Bank. 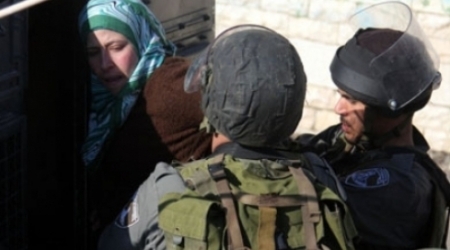 Local sources reported that the Israeli troops detained Hanin Abu Eisha,16, and took her to a disclosed location. Meanwhile, they hold a group of Palestinian policemen in Ra’s al-Joura area in Hebron and seized a vehicle of Palestinian traffic police who patrol in area A (which is under the control of Palestinian Authority). Detainee Nahil Abu Aisha’s family from al-Khalil said that Israeli Occupation Authorities (IOA) imposed harsh sanctions on their daughter, 33, already held without trial. Ahrar Center for Prisoner Studies and Human Rights said, quoting the detainee’s sister Ilham Abu Aisha, that Nahil is still held in chains and appears so even during visit times under pretext of a claimed escape attempt and allegations of physical assaults against Israeli soldiers. Abu Aisha’s sister raised alarm bells about the detainee’s psychiatric condition under such abrasive detention conditions, drawing attention to the 13 trial hearings vainly held so far. Nahil Abu Aisha has been detained since 13 March 2013 and held without trial ever since, as the court adjourns her case in every hearing held for her. Israeli Occupation Forces (IOF) arrested at dawn Monday two Palestinians from Beit Ummar town north of al-Khalil in occupied West Bank, including a student. Spokesman for the Popular Committee against the Wall and Settlements in Beit Ummar confirmed that the 19-year-old Jihad Alami and the university student Laith Alami, 19, were arrested by Israeli forces after storming their parents' homes. Dozens of Israeli soldiers raided at dawn Monday Beit Ummar town and closed the main street in the town before violently breaking into the citizens' homes. Verbal altercations took place between the citizens and the invading forces who acted in a barbaric and violent way with the residents. 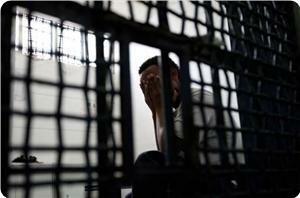 The Magistrate's Court of Jenin made a ruling, Sunday, to release a Hamas leader on bail. 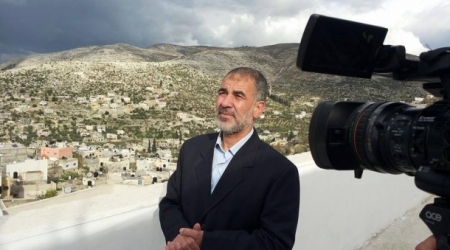 Family sources said that Sheikh Abu Aoun, a prominent Hamas leader in the West Bank, was referred by the Preventive Security Service to the public prosecutor a few days ago, Al Ray reports. The sources said that the prosecutor extended his detention, destined to end today, and approved his release on bail. His case has not been closed, adding that Abu Aoun is to be released on Monday, according to the sources. The court charged Abu Aoun of inciting sectarian strife in his statements criticizing the security coordination with Israel, and the political arrests carried out by security services loyal to President Mahmoud Abbas in the West Bank. Sheikh Abu Aoun was arrested on March 24 and placed under custody. Palestinian prisoners in Israeli jails decided to begin actions, this week, in protest of Israel's failure to release a fourth group of veteran prisoners. 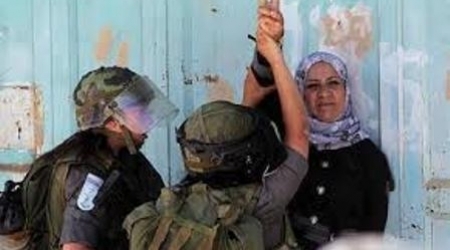 13 Palestinians were injured during one protest in solidarity with the prisoners. According to Ziad Abu Ein, an undersecretary at the Palestinian Ministry of Prisoners' Affairs, the protests would culminate in an open hunger strike if the prisoners' demands were not met, the Alternative Information (AIC) reports. From July 2013, Israel agreed to release in four batches 104 veteran Palestinian prisoners who were held in custody prior to the 1993 Oslo Accords. The releases were part of a plan to resume peace negotiations, after talks were halted for more than two years. 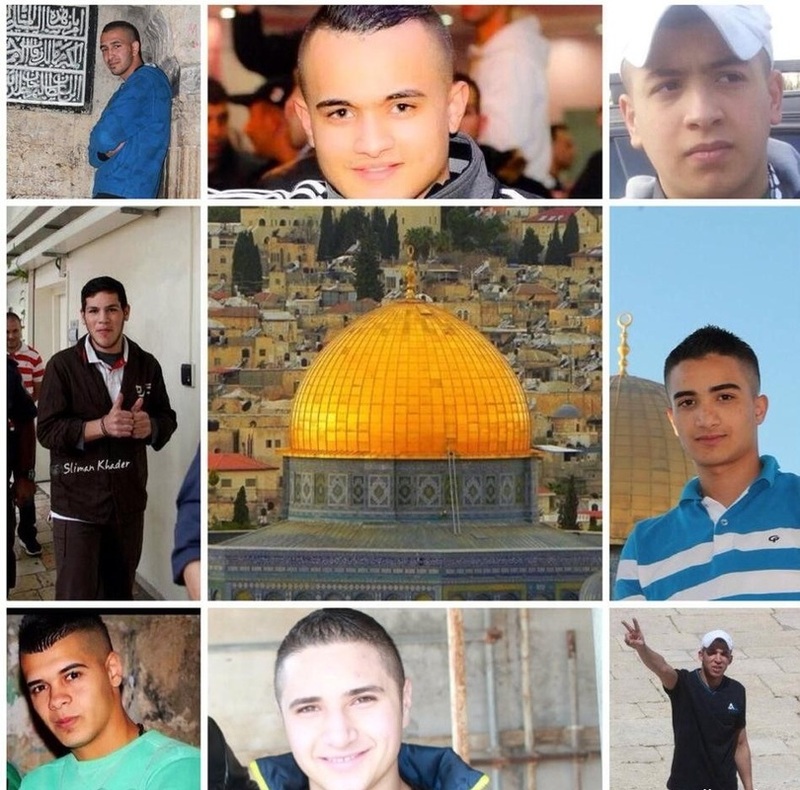 According to the agreement, Israel was supposed to release the fourth batch of prisoners on March 29. On Friday, Palestinian activists demonstrated in front of Ofer detention center in Ramallah to protest Israel’s decision to violate the agreement over the prisoners' release. 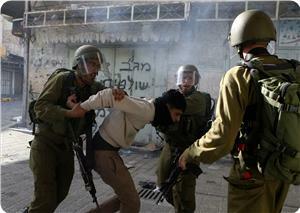 13 demonstrators were injured in clashes with Israeli forces which erupted during the demonstration. Seven people were injured with live ammunition. The Family of Husam Shaheen, Palestinian prissoner, appealed the Human organizations and Red Cross to save their son's health , who might lose his right leg unless the Israeli prison sevices (IPS) offerred him the appropriate medical treatment. Shaheen family said in a statement Sunday that the IPS transferred Husam to al-Ramlah clinic as his health detariorated severly. He could no more walk on his leg. Hosam's mother said that Israeli prison doctors told him that he suffers from germ in his leg, and they cannot do anything for him. " Althogh his leg is broken and suffer of abscesses on it, the IPS keeps his legs and hands schakle," his mother explained. It is pointed out that Hossam Shaheen, from the West Bank city of Salfit, has got his leg broken in an Israeli hunt, after which he did not recive the appropriate medical treatment. Four Palestinian prisoners, who have been arrested since April 5, 2004, entered Saturday their 11th year in Israeli prisons, Palestinian Prisoners Center for Studies said. Media director of the center,Riadh al-Ashqar, said that the prisoners are: Ali Haj, 32, fromDeir al-Balah, who is serving a 13-year sentence, Saeed Saleh, 29, from Jabalya refugee camp, who was sentenced to 25 years, Tariq Abu Shalluf,29, from Gaza, who is serving a sentence of 11 years, and Shehda Abu Aisha, 31, from Deir al-Balah who was sentenced to 17 years. 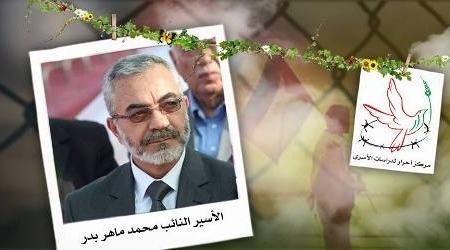 He added that the prisoner Abu Shalluf is one of the writers who has published a book from inside Nafha prison titled "In theSpaciousness of Sacred Hunger - dignity epic, 2012), documented the experiences of the hunger strikes in prison. It was printed and published abroad. Al-Ashqar pointed out that Israeli forces subjected Abu Aisha to physically and mentally torture for two consecutive months to get information from him. He was sentenced to 17 years. 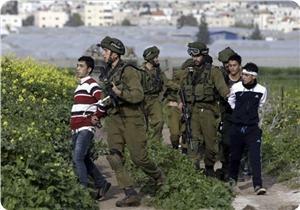 Israeli occupation forces arrested 410 Palestinians from Gaza. 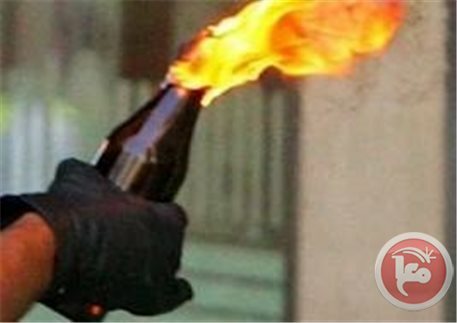 Israeli policemen rounded up three young men for throwing four Molotov cocktails at a disco in the French Hill to the north of occupied Jerusalem on Saturday night. The Hebrew radio said that one of the firebombs slammed into the building’s yard starting a minor fire that did not cause any human or material losses. It added that a fourth Jerusalemite youth was nabbed at dawn Sunday from the Old City of Jerusalem. Israeli occupation forces (IOF) raided a number of villages, south of Nablus, at dawn Sunday and patrolled their streets with no arrests reported. The PIC reporter said that IOF soldiers stormed the village of Madma, Orta, Beita, and Hawara and broke into many houses and delivered summonses for young men for intelligence interrogation. He said that the soldiers deliberately wreaked havoc in all houses searched in Beita village and destroyed property. 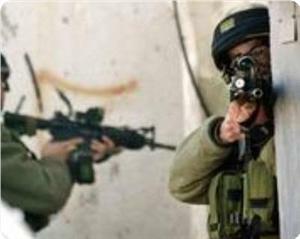 Locals in Madma village said that IOF soldiers set up a number of ambushes in the eastern areas of the village. 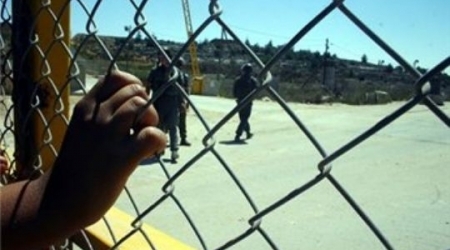 The Palestinian Prisoner society (PPS) said that the Israeli Ofer prison administration imposed sanctions on 18 prisoners as part of the policy of harassment pursued against Palestinian prisoners. The PPS said in a statement on Saturday night that all 18 prisoners were from Al-Khalil and were all held in ward 15 in Ofer jail. 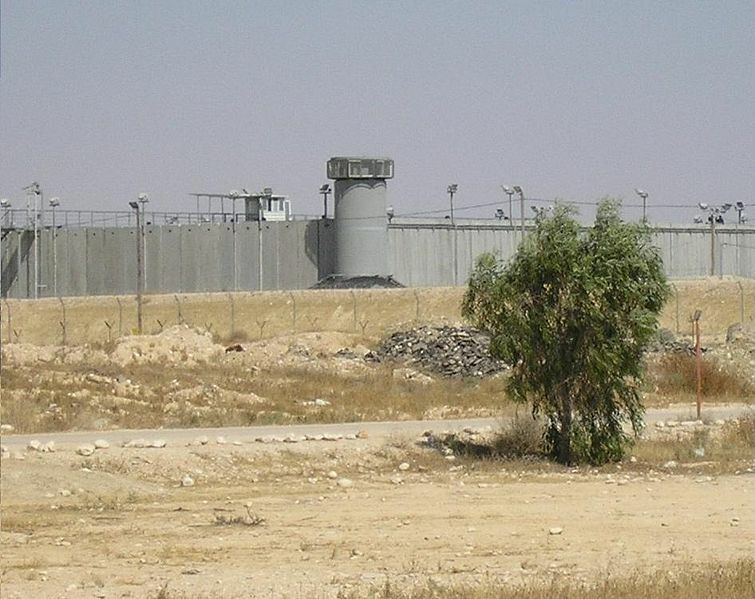 It said that Israeli prison guards had recently attacked ward 15, which is known as the national unity ward. The PPS statement pointed out that the prison administration deprived the 18 prisoners of visits and the canteen, noting that a state of tension was prevailing in the prison. Israeli occupation forces (IOF) arrested a Palestinian young man from Anin village, west of Jenin, afternoon Saturday at a roadblock set up near his village. Local sources described the roadblock as an ambush to capture the 22-year-old youth Mohammed Yassin, adding that the roadblock was removed immediately after the arrest. They said that the soldiers held the taxicab in which Yassin was riding for an hour before allowing it to pass after abducting the youth. 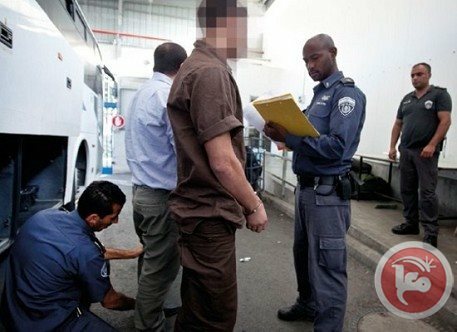 Meanwhile, Israeli police in Jerusalem said in a statement on Saturday that a Palestinian man was detained on Friday for planning to attack a settler with a knife. The police statement said that the man was standing near the entrance to Ma’aleh Adumim settlement and had a kitchen knife in his possession, adding that the man is in his thirties and is from Abu Dis town. Israeli occupation forces (IOF) beat up a Palestinian child and chained and blindfolded him for a few hours in the Old City of Al-Khalil on Saturday. Local sources said that IOF soldiers arrested the child, Mohiuddin Al-Rajabi, near the Ibrahimi mosque in the Old City of Al-Khalil after soldiers manning the nearby roadblock were thrown with stones. 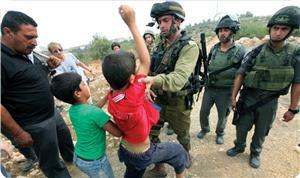 IOF soldiers and Jewish settlers have recently escalated attacks on children in the Old City of Al-Khalil. Meanwhile, IOF soldiers raided Aroub refugee camp, north of Al-Khalil, on Saturday morning and set up a number of roadblocks and checked IDs of passing citizens, eyewitnesses told the PIC. Palestinian prisoners in Israeli jails will commence protests beginning next week against Israel's failure to release a fourth group of veteran prisoners, a Palestinian Authority official said Friday. 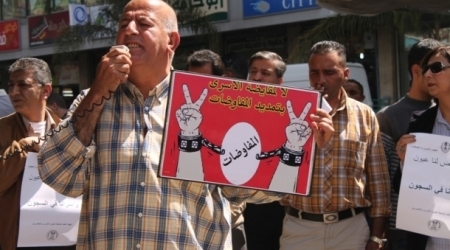 Ziad Abu Ein, undersecretary to the minister of prisoners' affairs, said the coordinated protests would culminate in an open hunger strike if the prisoners' demands were not met, Abu Ein added. "The Israeli government is sick and needs to be quarantined because it poses a threat to the peace process in the region," he added. A source close to the ongoing peace negotiations said on Thursday that Israel had cancelled the release of the fourth group of veteran Palestinian prisoners in response to the recent decision by Palestinian officials to seek recognition at a number of major international multilateral treaties and conventions. Palestinian officials said the bids for recognition were in response to Israel's failure to release the final group of prisoners on March 29 as scheduled. The military court of Ofer rejected an appeal made by a jailed MP's lawyer against the decision to put him administrative detention, a monitoring society said. Palestine’s Prisoners Center for Studies said in a press statement that the Israeli occupation re-abducted the Hebron lawmaker, Mohammad Badr, 58, on October 29, 2013 and ordered a six-month administrative detention against him. Badr’s lawyer filed the request fear that the current detention is renewed, but the Ofer court refused to allow his appeal, the center added. It noted that the Hamas-affiliated lawmaker was arrested and put under administrative detention several times by the Israeli occupation spending more than 10 years in jail. The center said Badr suffers from high blood pressure, prostate problems and swollen feet, warning that the Israel Prison Service (IPS) is intentionally stalling his treatment. Months ago, the IPS decided to take an X-ray for him to recognize the cause of his illness. However, he has since been ignored and the X-ray was not conducted, which could cause his health to fail, the center added. Released from prison on 23 December, Samer Issawi poses for a photograph with his sister, Shireen. Israel’s Central Court deferred the trial of six Palestinian lawyers from Jerusalem to Thursday to allow for competing judicial proceedings, a Palestinian society said. A joint police and Shabak (Israeli security agency) investigation allegedly found that the six lawyers passed messages from and to Hamas and Islamic Jihad in the Gaza Strip to Palestinian prisoners jailed by Israel on a commission. Palestinian Prisoner’ Club identified the lawyers as Medhat al-Issawi, Shireen Issawi, Mahmoud Abu Sneineh, Amjad Al-Safadi, and Nadeen Egrayib, and Omar Eskafi. 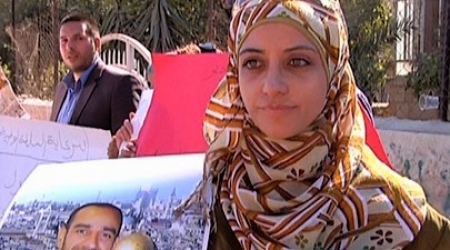 On March 17, an Israeli military court denied an appeal made by Shireen Issawi to end her detention without charge. Issawi, along with her brothers, Medhat and Shadi, was arrested on March 6, 2014, along with fellow Palestinian lawyer Amjad al-Safadi. Shireen is the sister and was the lawyer of Samer Issawi, once an administrative detainee who spent around nine months on hunger strike in Israeli jail. Her detention has been extended for five times in the period between March 13 and April 4. A number of fanatic Israeli settlers attacked several Palestinians, wounding four, while Israeli soldiers kidnapped two more Palestinians, in Sheikh Jarrah, in occupied East Jerusalem. The Wadi Hilweh Information Center in Silwan has reported that the soldiers kidnapped two Palestinians identified as Morad, 17, and his brother Mohammad Atiyya, 20, and took them to a police station in the Salah Ed-Deen Street. The Center said that more than 50 settlers invaded Sheikh Jarrah and threw stones at several Palestinian cars, and homes, in the area. Local Palestinian residents tried to stop the settlers, but were assaulted by them, while a number of settlers used pepper-spray against the Palestinians, and assaulted them, leading to four injuries. 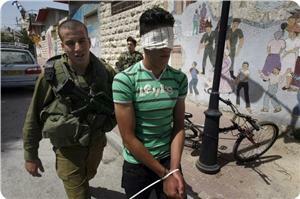 Israeli soldiers then attacked the Palestinians, and kidnapped the two brothers. At least one woman was wounded in the attack; property damage was reported. Israeli occupation forces (IOF) captured a Palestinian man from Gaza Strip after managing to cross the northern border fence of the enclave at noon Friday. Hebrew media reported that the Palestinian managed to cross for a few meters north of Gaza but was chased and arrested by an IOF force before being taken for investigation. A number of Palestinian young men have recently managed to cross the border fence surrounding Gaza and infiltrate into 1948 occupied land, but were all captured by the IOF. Meanwhile, IOF soldiers opened machinegun fire at farmers and residential neighborhoods along the northern and eastern areas of the Gaza Strip borders afternoon Friday. Local sources said that soldiers in military watchtowers opened fire at farmers in their fields and at residential quarters along the border areas forcing farmers to abandon their land. 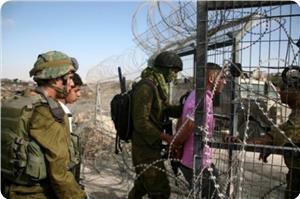 The Israeli occupation army detained a young Palestinian man near the northern border with the Gaza Strip. Walla news website quoted an Israeli army statement published saying an Israeli military patrol captured the young man on Friday afternoon for allegedly crossing the border that separates the northern Gaza Strip from southern ‘Israel’. The young man, who had been unarmed, was held for investigation following his arrest, the statement said. Israeli forces routinely carry out military incursions into Gaza raze agricultural land or arrest Palestinians living by the border. Six Gazans have been arrested since March including two fishermen on claims that they were sailing out of the Gaza allowed fishing range and three for allegedly crossing the border with northern 'Israel'. Israeli occupation imposes a buffer-zone of 300 to 500 meters into the Gaza Strip, allowing the military to fire on farmers or anyone found approaching in this areas. The buffer zone is between 500 meters and 1500 meters into the Strip, effectively turning local farms into no-go zones.